~Portfolio Improvement Specialist~Wardrobe Stylist~Designer~ HOLLA! I GUARANTEE UPDATES EVERY 2 WEEKS PLEASE COME AGAIN!! 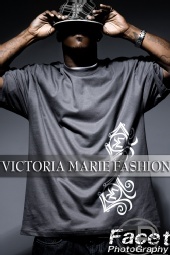 Welcome to ~ Victoria Marie Fashion~ MM profile, where Style is Optional... However , Fashion is Mandatory. These are people I have worked with , which does not mean I recommend these Photographer's in this order... It does'nt not mean these are all my buddies and we work together all the time if coming to LA and planning to work with me please contact me for a list of Reccommended Photographer's , models etc... Thank You! Eye Candy Lourdes - ~2009 Photo shoot with MQ Images Inc.
Amazing work you do and I would love to work with you someday. Some sick, wickedly dope shots! I love your line and port! If you ever need a new model please let me know I would love to work with you!